Yeah, I know, it is September. Not only did I miss August, but why am I talking about New Year’s resolutions now? There is some irony in talking about goal setting and resolutions at a time when you missed the opportunity! HA! I want to talk about resolutions. And about why January is totally the wrong time for you to determine your New Year’s resolutions. About why you should be creating your resolutions…well, now, or really as you plan your school year. Understand how to allocate your resources efficiently and effectively. Be intentional about your life. As an autist, I much prefer to structure my life once. I prefer to know which goals I am chasing. I am intentional and intense and don’t like to be interrupted. 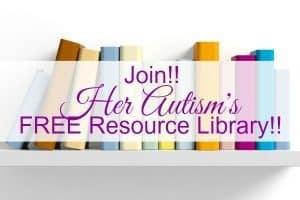 You can see how I organize my world in my post, “The Strangest Thing about My Autism.” Making this change makes my whole year smoother! Don’t Just Schedule, Set Goals! I watch what goes on around me and I like to find patterns. I like to see how people do things, and I like to get ideas from those observations. For a number of years, I watched families choosing schools, activities, schedules, etc., without doing so purposefully. They seem to be involved in a calendar function rather than an intentional life-driven function of setting or reaching goals. So, when those same families come up on the New Year, they start talking about goals and resolutions. They talk about all the things they want to accomplish beginning on January 1st – weight loss, financial freedom, academic goals, etc. And this pattern is one that their children are mirroring. 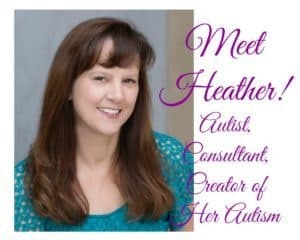 I don’t know about your holiday season, buy mine is crazy busy, (you can read some tips on managing the holidays in my post, “Short and Sweet List of Suggestions for Surviving and Thriving with Autism During the Holidays,” and after the holidays I want nothing more than rest, not new goals. In response, the members of the families listed the activities they had chosen or the items they selected to put on their schedules. They actually weren’t able to give me a goal for ballet. 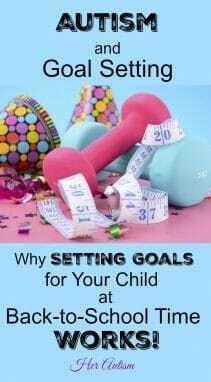 The goal could simply be to have fun and get exercise or to meet kids, or it could be more specific and to acquire certain skills or advance to certain levels. The point here is that the family selected activities in order to fill a calendar rather than to enrich their lives. Bummer! In a world with autism, where resources can be limited at best, why not seek to optimize, live life to the fullest, and go out and be amazing? Again, nothing wrong with the goal of taking ballet to enjoy ballet, but know that is why you are taking it! My point is that it seems to me that there is a disconnect between the time that we determine the structure of our lives and the time when we set our goals, at least our big life-changing goals, the ones we dream about reaching. That would be okay if it were not for the fact that we will be infinitely less successful both at optimizing the resources/activities we chose at the beginning of the school year and in accomplishing the goals set at the New Year. Some of you may be thinking that the beginning of the school year is crazy already! No way is that the best time to set goals and be successful. But that is precisely why it is the right time!!! It is crazy at the beginning of a new routine or schedule because of the change involved. One way to move your goals forward is to limit the number of times a year that you introduce change. Change introduced to your family at a time when things are already changing is more likely to be accepted or tolerated than if change is constantly introduced. It may even go unnoticed, whereas change introduced halfway through the school year is definitely going to hit the radar! I know, for me, that starting a new schedule is hard, but not as hard as changing one once it has begun. Setting and chasing goals at mid-school year is tough for me. For many years, I, like so many others, set those resolutions on New Year’s Eve only to ditch them say by mid-month. Take Control of Your Life and Be Amazing! We can actually shift our goal-setting/resolution-making time frame back to the time when we are building the structure of our lives and set ourselves up for success, avoid mid-school year interruptions and changes, and start down the path to success four months earlier every year! I implemented this system years ago as a homeschool mom and saw tremendous success. Even more, I find that when I set my goals according to this time frame, I more easily identify when I have overscheduled, under-scheduled, or chosen activities that are just plain wrong for us! I am then able to make corrections immediately! Stretch Your Muscles, Your Time and Your WALLET! Not enough to convince you? I quickly found in implementing this shift in the timing of my goal setting that it had the surprising impact of saving me a ton of money. By not overcommitting, changing activities, setting more goals than I could accomplish, I avoided spending in ways that were wasteful. Identifying that we had signed up and paid for too many activities and had to drop out of one after the refund deadline means you don’t get your money back – waste. Buying food for a diet starting in January that I do not have time to implement resulted in waste. Buying exercise equipment because if I just spent the money and had access to it in January when I started my resolution I would use it, more waste. Why? Because my schedule did not allow for, and I was not successful in, changing my routine – my habits – and actually using the equipment. Letting my kiddos sign up for another activity because I needed time to have for myself and then not using that time for myself, but spending my time driving them to and from instead…waste. Avoiding these and other wasteful behaviors…WIN! The best of intentions in determining our resolutions at the beginning of a New Year do not generally translate into success in carrying them out. Been there? I bet you have, at least once or twice. Celebrate Success as You Ring in the New Year! So, if we resolve at back-to-school time, what do we do at the New Year? 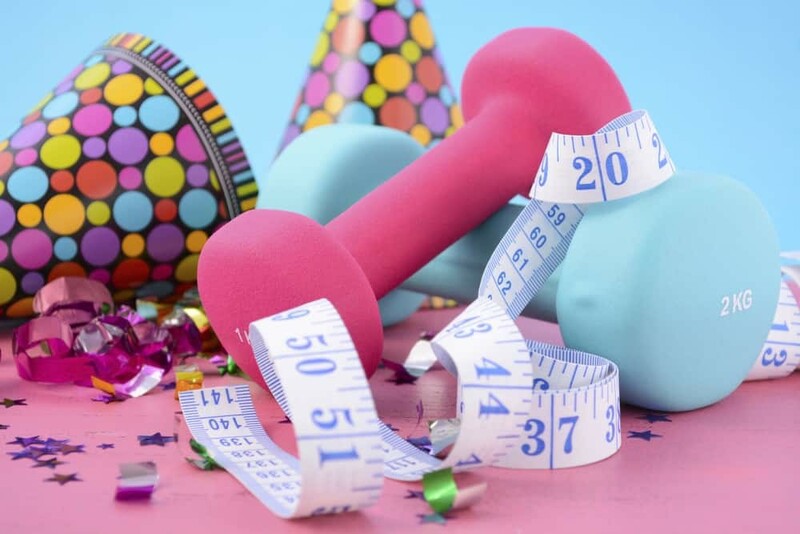 The New Year then becomes a time to check your progress and course correct if necessary, or even better, celebrate your progress to the goals you started accomplishing four months ago! Not only do I find greater success, I find that rather than giving up on goals within two weeks of setting them, I accomplish them so quickly I frequently have to set more challenging ones in order to keep busy until the end of the school year. Now, you might be thinking, “Well, I’m not a mom, and so, I’m not tied to that school schedule.” But, I bet you kind of are, because in our world, the focus on the school calendar is so predominant that very few people actually escape being influenced by when the school year starts. Do you go to church? Because the school calendar probably drives your church schedule. Do you have a job? I bet if you look at absenteeism, it is directly tied to the school calendar as well. Do you go to a gym? I mean, the same thing. They probably have back-to-school specials to encourage memberships. So, even if you don’t have kids who go to school and you’re single, the school calendar is such a pervasive part of our society that setting goals in July and August is really, really a great time for you to do it as well. Further, you will get that four-month head start on success! Or, maybe you are right and the beginning of the school year is not the right time of year for you! No worries, just try to tie the time during which you structure your life and the time you set your goals so the two go hand in hand. Say you’ve decided that you’re going to eat right. Super! If you set that goal at the beginning of the school year, you may choose to pack lunches or develop some other plan for ensuring everyone eats healthy food during the day while they are away from home, and you get a fresh start on developing that habit. But what if you have been buying lunches all year because that was expedient or maybe taking prepackaged processed foods with you all year. You developed this habit and now you not only need to start eating healthy, but overcome the habit you started at the beginning of the year to get there. If you are resistant to change like I am, that can be especially challenging. Changing programs, systems, processes, etc.? Awesome! Please don’t mess with my lunch! I wish for you that as you build the structure around your life, as you choose which activities you’re going to be in, as you choose how you’re going to spend your time and hard-earned resources that you chose to incorporate the goals and resolutions that position you to achieve your dreams. Even better, go ahead and have that New Year’s resolution-setting party NOW. Bust out the snacks, invite friends, set your goals, and start hunting them down! Plan a celebration for New Year’s Eve with the same friends to celebrate your successes!